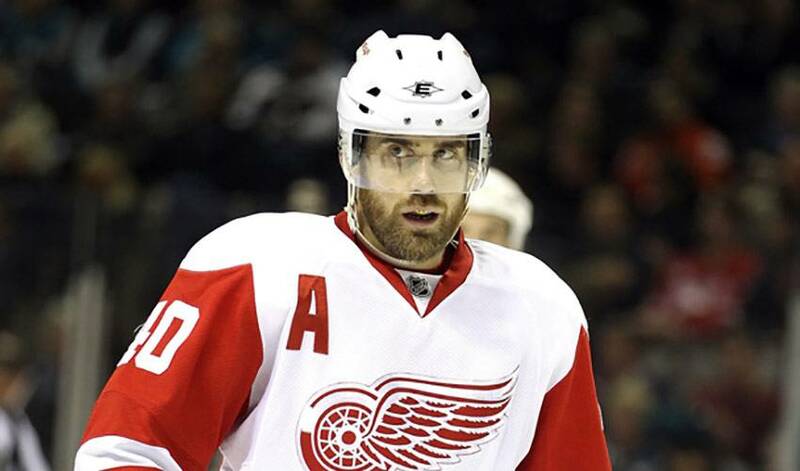 Injuries have ravaged the Detroit Red Wings lineup in 2010-11, but Henrik Zetterberg has played a massive role in keeping things from spinning out of control in the Motor City. They've been perennial Stanley Cup contenders for what seems like an eternity, a veteran group that comprises one of hockey's most well-balanced lineups from top to bottom. A strong start to this season once again had pundits picking Detroit as a legitimate challenger for all the spoils. A rash of injuries, however, has wreaked havoc on the Original Six squad, sending names like Mike Modano, Pavel Datsyuk and Dan Cleary to the sidelines, all of whom will be out of action for extended periods of time. Losses to key players, though, haven't translated to losses on the scoresheet. It didn't get any easier when Pavel Datsyuk, recognized as one of the top two-play players in the game and a finalist for the NHLPA's 2009 Ted Lindsay Award, broke his wrist in a game in December. Up until that point, Datsyuk had missed only three regular-season games since the 2007-08 season. “And then Pavel goes down with his hand injury, and it was tough,” offered Zetterberg. “It's tough to fill that hole. Everyone got discouraged a bit. And then you lose Cleary, too; basically I think he scored 16 goals for us this year, 15 or 16 goals. It's hardly been a disaster for Zetterberg and the Wings, who are battling for the top overall spot in the NHL. “You play a lot of hockey and injuries will happen,” he offered. “Part of it is it's a physical game. So it's just what it is. For his part, Zettererg, who was named the league's second Star of the Week in late December after recording three goals and four assists in three games, hasn't missed a beat. The team's leading scorer has provided his usual offensive punch, while giving Detroit solid defensive efforts as well. Zetterberg assisted in the Red Wings' overtime triumph against Colorado, a win that netted goalie Chris Osgood his 400th career victory. “If you look at it, what he has accomplished, he's definitely one of the top goal stoppers,” praised Zetterberg. “I think everyone in our locker room and our organization knows what he's done and he knows how much he means to us. The Wings will need those types of emotional boosts until their injured teammates are back in action. It also helps when Zetterberg is playing some of the best hockey of his career. But in spite of the toll the injuries have taken on the players and the team, the Swedish superstar is not looking for sympathy or willing to make excuses. Rather, he is focused on helping the Red Wings stay in the hunt for home ice advantage throughout the playoffs. A glance at the standings provides ample proof that Zetterberg and his teammates have gone above and beyond that.